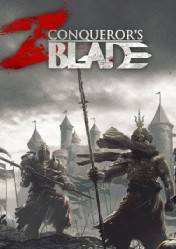 Attention: Conquerors Blade is a game for Steam, which must be activated by entering the cd key or key that we will receive, to activate the download. Also, from Gocdkeys we want to remember that currently only the Beta is available for Conquerors Blade and that the release date is still unknown. From Gocdkeys we will be updating it, but at the moment the stores that appear only are for the access to the Beta. For the accesses to the Betas we recommend to read attentively the information in the official web or in the stores in which the above mentioned keys for the beta are sold. It should be noted that the basic game is free and what we will compare in Gocdkeys are the prices of the different packages. Conquerors Blade is an MMO that mixes all kinds of genres, action, simulation and strategy all in one. You could say, it's a mix of For Honor, Mount and Blade and some Total War. We can lead our armies in conquering an open and persistent world in this spectacular free multiplayer action and tactics game, which seamlessly combines visceral medieval combat with an immersive tactical mastery over men and the war machine. There are no comments yet about Conquerors Blade. You can be the first one!